SharkBite PEXa UV Black Protection, Cross linked polyethylene PEX (Peroxide Xa) pipes UV-ray protection resistant. 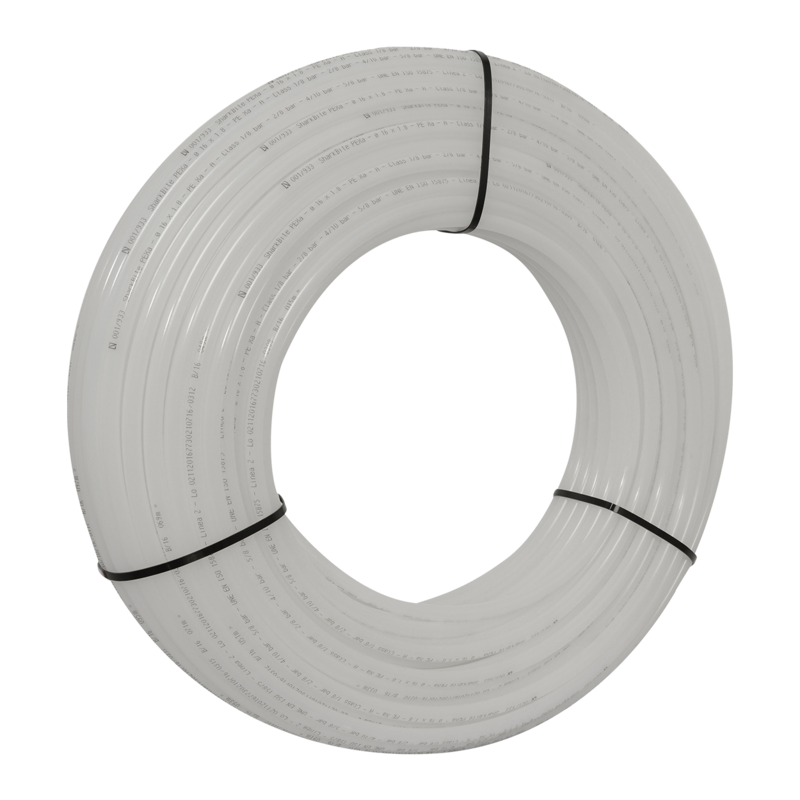 SharkBite PEXa with Corrugated, Cross linked polyethylene PEX (Peroxide Xa) pipe in pipe system. SharkBite PEXa EVOH, Cross linked polyethylene PEXa pipe with Oxygen Barrier EVOH. SharkBite PEXa 3.2 EVOH,Cross linked polyethylene PEXa pipe with Oxygen Barrier EVOH serie 3.2. SharkBite PERT EVOH, Polyethylene of Raised Temperature resistence type II with Oxygen Barrier EVOH. The SharkBite Connection System has an innovative range of fittings for plumbing and heating with the versatility to join different pipes such as PEX, PERT and МULTILAYER, without welding, clamps or adhesives. SharkBite products are exclusively for professionals in newly-built housing and in remodeling / repairs. SharkBite plumbing solutions provide a quick installation that saves time, labor, money, and provides the freedom to move to the next project quickly. SharkBite is a leader of the plumbing and heating accessories market in North America and Australia, and produces more than 20 million fittings a year. SharkBite continues to develop a distinctive brand in the field of plumbing and heating solutions.